Are you moving house or office? Need removalists in Perth to help with moving and relocating your house items? Got bulky furnitures or perhaps a car to relocate? We understand that it can be a daunting task! But don’t worry! We’re here to help. 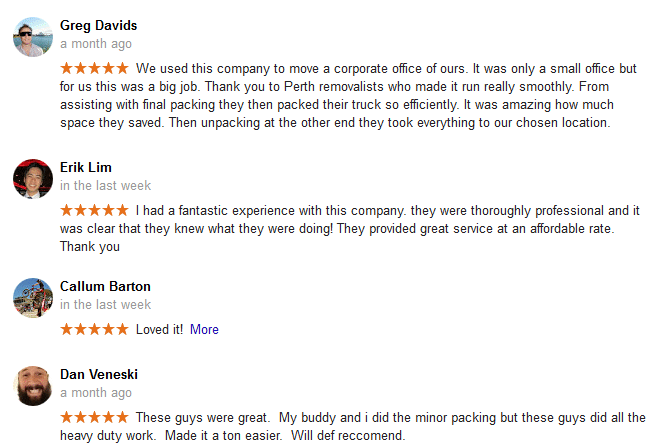 We’re the best removalists in Perth and no job is too big or small! Call Perth Removalists (WA) today! This domain perthremovalistswa.com.au was created for a removalists Perth expert. Every Relocation Move Catered for You! We know that everybody is different. And that is why Perth Removalists WA will bend over backwards to cater your unique needs. So if you have a move, even an obscure type of move. We can help! Call us today and let’s talk. We will draw up a plan and suggest the best possible plan of attack for your next relocation move! We pride ourselves of being a one stop shop when it comes to home and office removal. Even interstate removal! Yep, you heard right: we can help you with your interstate removals requirement. We do jobs both big and small. So give us a call and find out how we can help you. Wait there’s more! We can also arrange for international relocations! Just ask us! 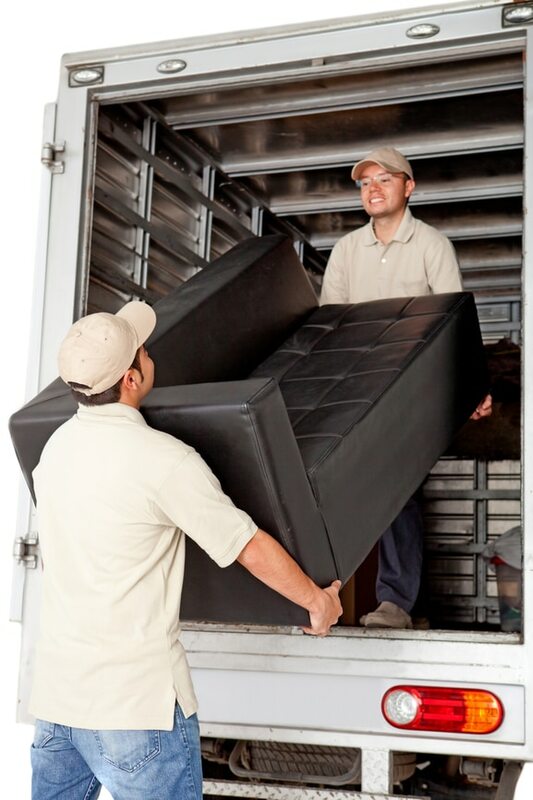 Perth Removalists WA also provide short term and long term storage solutions. Whether it’s small or big. We can help you! We’re everything to do with moving and relocating. You name it and we do it! Whether it’s a new a house that you’re moving into or perhaps you’re a local business owner moving into a new office. Check out our values here. We can help you make the transition easy and free of stress! 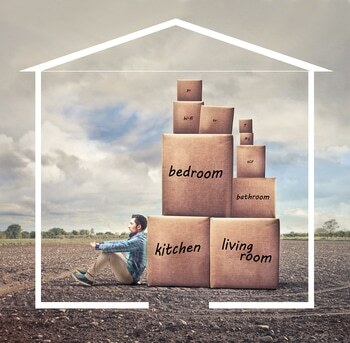 We’ll even help organise the logistics of moving and relocating your belongings such as furnitures, cars, fridges, washing machine and whatever else! It doesn’t matter what size it is, we’ll look after it. Got a massive item like a billiard table or a spa? No problemo! Yo! Let us break it down for you and make your decision easier. Here’s ten massive reasons to why you should choose us to move and relocate your belongings..
We’re a friendly bunch of people who are just like you! All of our staff are approachable and will listen to your needs before, during and after the job. If there’s any questions, feel free to let us know and we’ll do our very best to address them. When we carry out the work, whether it’s big or small, you’re part of the team! We treat your belongings like our own. We’ll take extra care when packing and moving your fragile items to ensure that it arrives safely at their destination. We’ve heard of so many horror stories of damaged items during its relocation. Our attention to detail will ensure that your items stays in one piece from beginning to end. Our staff are appropriately trained and are experts when it comes to removal and relocation of household and office items. Different jobs have different needs. Our staff are trained to deal with a variety of situations. They frequently attend internal and external training to improve their skills. Our removal trucks are modern and regularly serviced to ensure a trouble free service. The last thing you want is interruption whilst moving. It could cause unwanted delays and unwanted stress. The equipments used to help with the relocation are recent and meets the safety standards of Australia. Many other companies take punctuality for granted, not paying attention to being timely for a job. But not here, we take punctuality very seriously. If we promise to be there at a certain time, we’ll endeavour to be there on the dot, pronto! Because your time is gold and we wouldn’t waste it for the world! Our company aims to be punctual 100% of the time. 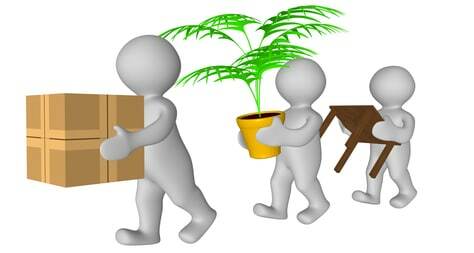 Here at Perth Removalists (WA) we deliver high quality removal services at affordable prices. What you pay is not always what you get! Be pleasantly surprised at our pricing relative to our competitors. Hard to believe in the current market climate, but hearing is believing. If you have even the slightest doubt, feel free to call us and ask for a free quote. Things may change than originally planned. Emergency pops up often at the most inconvenient time. But we understand life’s daily challenges. That is why we’re flexible when it comes to unforeseen events happening shortly before work commences. We’ll discuss it in person and will try our hardest to accommodate your changing situations. It is the little thing that we do that set us apart from the competition. We strive to deliver the highest quality of service as possible. Don’t be surprised if we even open your door when you get out of your car! Well, you might think that’s going overboard. But that’s how we operate.. there’s no such thing as over servicing! We know that moving out takes serious work, but we can also make it a fun process! Laughter is the killer of all stress! Don’t believe us? Try it our yourself! Laugh out loud right now! LOL! Do you feel better now? Told you it’ll work! Just trust us. As adults, we may find it difficult to have a little bit of fun as we’re seen to be the responsible one. But even adults needs time out! Otherwise you’ll simply get burnt out! Overall, we want your experience with us to be a completely satisfying one. A pleasant experience that you’d gladly recommend to anyone when in need of a removalist. "We had massive furnitures to move, including a billiard table. The move went really well without a hiccup! Glad I chose your company!" "We'd like to thank all the staff at Perth Removalists (WA) for helping us move from Morley to our new house in Rockingham. Absolutely recommend it to anyone!" "I was stressed out when I had to move out at a last minute notice. But you've made it a lot easier and more bearable!.. thanks!" "You guys ROCK! Lucky I stumbled on your site. Definitely the right decision I've made in a long time!" "You saved my life! Thanks for making the move from my house in Victoria Park to South Perth a hassle free experience"
With that all said and done, there’s many other reasons to be said about us but it’ll take forever to write down! Covering the span of the Perth metropolitan area including Cannington, Warwick, Mandurah, Fremantle, Mirrabooka, Ferndale, Morley, Belmont, Kewdale, Clarkson, Kinross, Yanchep, Joondalup, Nollamara, Ballajura, Alexander Heights, Balga, Girrawheen, Queens Park, Bentley, Wilson, Shelley, Whitfords and lots of others. If it’s within the boundary of the Perth metropolitan area, then it’s covered by us! We’ll even consider regional places like Albany and Bunbury! Just let us know know where you are and where you need to go and we’ll consider it! How awesome is that? 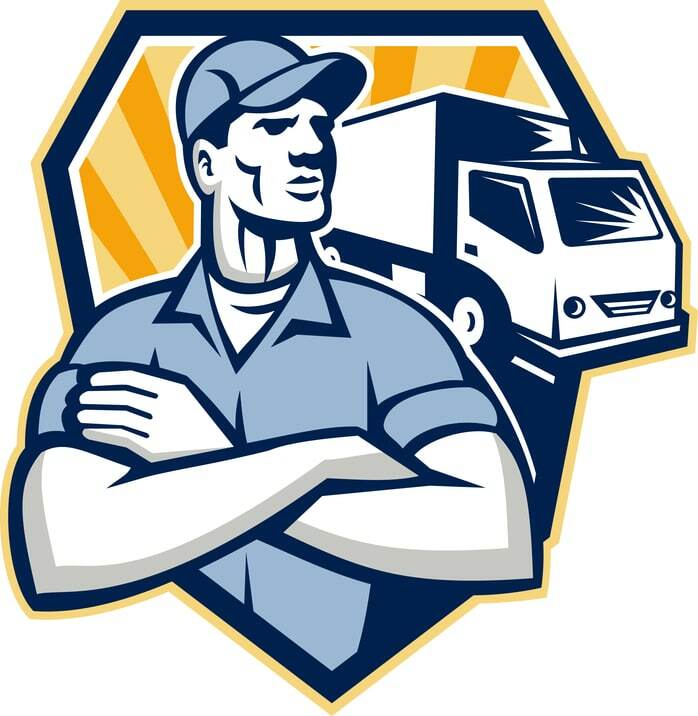 We are truly a one stop shop for your removal services needs. We take pride in every single job that we undertake. We achieve this by adhering to our core values. So there you have it, a comprehensive yet concise blurb on why you should choose us for your removal and relocating needs. Compare us to our competitors, you’ll see that we’re an obvious winner. The choice is easy.. If you’re thinking of moving out of your house or office then think of us – Perth Removalists (WA)! We’ll deliver when others can’t! Don’t get overwhelmed! Call us and let us organise your move. Don’t worry, be happy is all we can say! So if you’re looking for a relatively cheap and affordable removalists in Perth without sacrificing quality, then let us do the work!